Piccadilly Circus in the Swinging 60s. 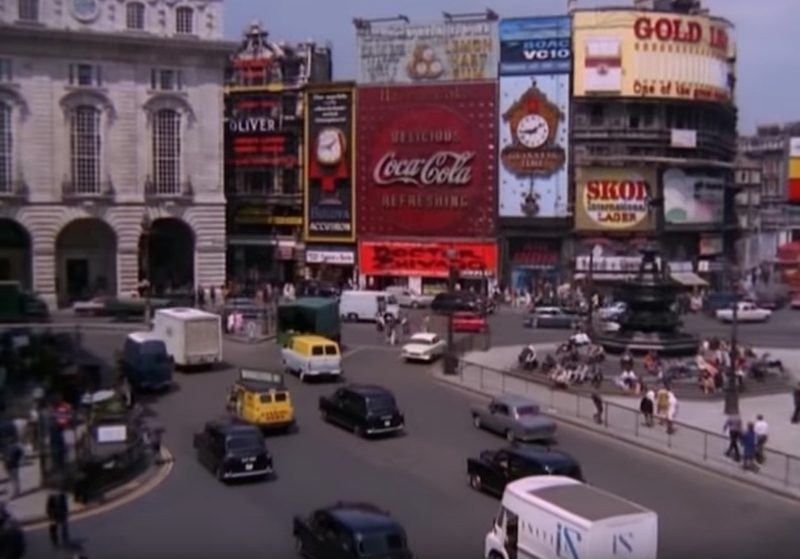 In this retro film from the Rank Organisation's Look At Life series, you can see a tantalising glimpse of London from exactly 50 years ago. 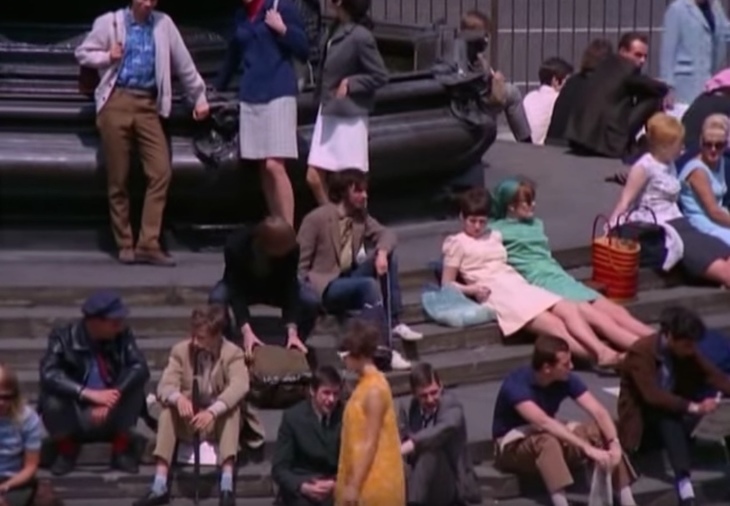 This particular short shows life in and around Piccadilly Circus from 1967, ahead of planned changes to the junction. 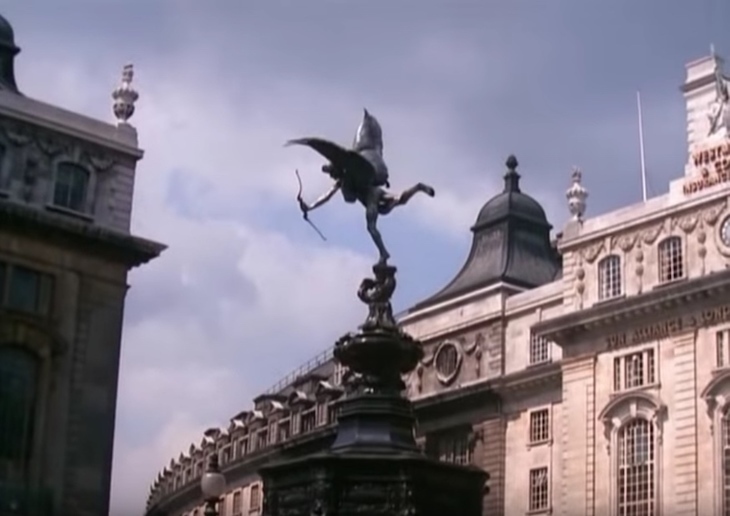 In fact, the redevelopments shown in the video were never implemented, although Eros was moved and part of the Circus pedestrianised in the late 1980s. It's short, but it's got everything you could ever want from a London film: hippies, coppers, buses, sewers, a peek into a 60s tube station, Oliver! the musical, and an ad for a Michael Caine film. Also, is that Mick Jagger having a quick kip at the five-minute mark? Then there's the claim about Piccadilly Circus being London's 'busiest tube station'... suggesting '17,000 passengers' are travelling home through that station 'every hour' and the stop hosts more than half a million tube passengers each week. Today, Piccadilly Circus ranks as London's 12th busiest tube station (according to 2015 figures); if you want really busy, head to Waterloo, which handled around 1.8m passengers each week in 2015. As for the 'two-man night staff' cleaning the station... well, things have changed with the night tube, right? 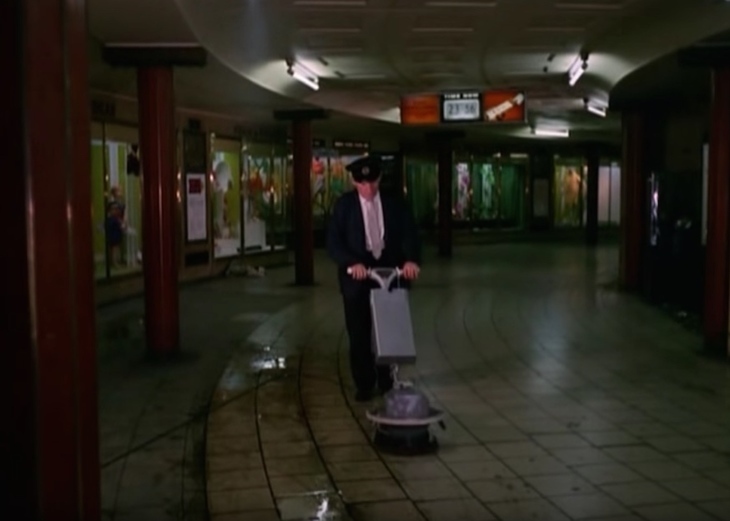 One of the two-man team cleaning Piccadilly Circus underground station each day in 1967. Check out some of the brilliant fashions on display — it's lovely to see candid footage like this of 'ordinary' Londoners simply on their way to work, out shopping (look out for the glimpse of lost Piccadilly department store Swan and Edgar, now The Sting), or on a night out. Intriguing too, is the sneak peek underground at both the sewers and the bonkers array of post office cables, electricity, gas, water and other 'piped services' (wait, what?) 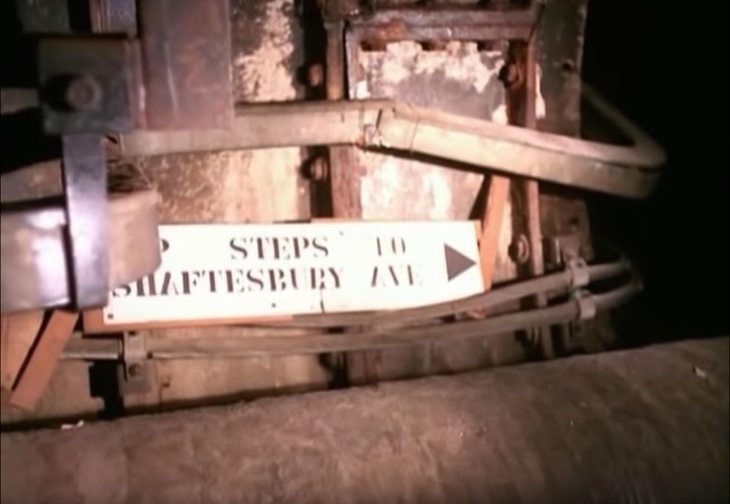 running through a 12ft diameter tunnel under Piccadilly Circus, built in the late 1800s, and managed by the then-GLC. The tunnel under Piccadilly Circus. We'd love to know if it's still in use. Want to head back in time to a slower, more sedate central London? Check out this nine-minute (nine minutes? That'll never keep the millennials' attention!) homage to London's 'meeting place'. Piccadilly Circus: 'simply a crossroads; but a crossroads known the world over'.